Mix it with 1 tbs of salt and 2 tsp of lime juice (or half cup of curd) and keep aside for half an hour. Make a paste of the coriander, chilly and turmeric powder. Heat oil in a thick bottomed vessel. Add chopped onion, ginger, garlic and green chillies and brown it. Add the chicken pieces together with the juice that comes out of it. Stir it for about five minutes. If the coconut milk is taken from fresh grated coconut add about 2 cups of the second milk to the curry. Otherwise add about 2 cups of hot water. Cover and cook for about half an hour till the chicken pieces are cooked. :-If you like potatoes in the curry, about one and a half cups of potato pieces can be added to the curry half way through. Add the thick coconut milk and the garam masala powder and curry leaves. 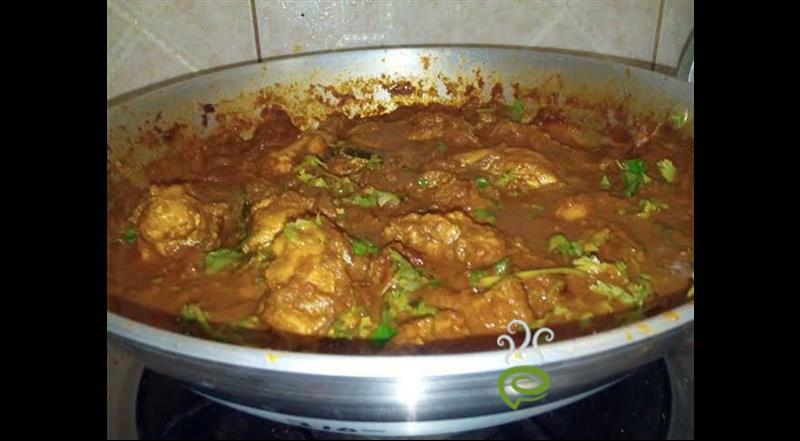 :-If you want more gravy in Kozhi Curry or the Kozhi Curry gravy is not thick enough dissolve a tsp of corn flour in milk or water and add to the curry and just boil again stirring well and bring the Kozhi curry to boil. 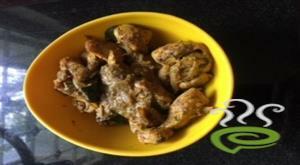 :- Kozhi Curry Nadan Style is ready. It is excellent. 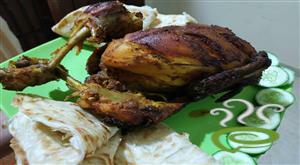 I cooked chicken first time in my life, excellent recipe. Very tasty, i added tomatoes too. This is very nice and easy! Superb! Add Cashew Nut paste instead of corn flour and try! Actually I tried the Chicken curry for the first time with this recipe. It was excellent!!! 100 marks!! Thanks for sharing this recipe! ADIPOLLI dish. This dish left my family licking their fingers. My 4yr old too rated it "Nice, Good chicken". What more do I need to say?? Keep posting such excellent recipes. very easy to cook and really delicious.thanks. First time I tried this recepie. It was really awesome. Thanks for this delicious dish. Added tomatoes also. It was very tasty. It is wonderful.....n very tasty. Very tasty. Everybody liked it. Thanks for sharing. This was the first recipe that I have tried independently and it came out really well. Thanks a lot for this excellent recipe, Pinky. But it started giving me troubles too... :) my wife thinks I am a great cook now... & asks me to cook. Lip smacking good!!! Tastes good with almost everything!! And absolutely simple to make! Thanks!! Wow!Thanks Pinky.ur recipe turned out well! 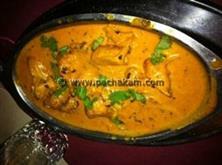 I loved this Chicken curry! it came out DELICIOUS!!! i added potatoes to it...very very good!highly recommended! my mother in law and husband loved it too. This is excellent. It came out very well..I suggested this to my sis-in-law and she too made it. Everyone loves it now. Thanks! Goes great with breakfast items. The curry came out so well. thank u. my family just loved it. it is so easy to make yet so yummy to eat. This came out very well. My family and friends loved it. Thankyou for bringing us such a wonderful dish. Please remove this recipe from the site!!! ( I might put on weight ) It was too good...., enjoyed and thanks. Great recipe. Thanks for this recipie.Its very simple and tastes delicious. Beautiful! 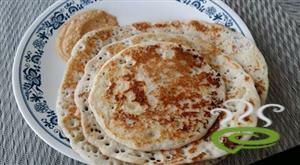 Mouth watering.Graet with appams. 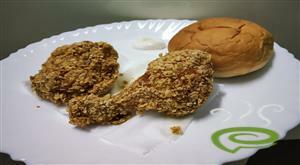 Tried out this recipe yesterday.. Everyone really liked it.. Got lots of appreciation.. Great work, thanks a lot!! Great recipe. I tried four times and it came out real good all the time .Thanx pinky for your help. very good. tried it last night with chapathi. real nadan taste. super!! it came out soooo good...thanx pinky!! The recipe was really tasty.Exactly Nadan Kozhi Curry.Thanks for the dish. Once a Malu always a Malu ... And wat gud is a Malu if he cant make Keralean food .. The recipe was excellent .. Need to make a few changes thought .. Worth the try ..
Great recipe. This is the first time I am trying out a chicken dish. Was Easy and great taste. Thanks for this recipe. I tried out this recipe mainly bcoz of the rating it has got...and believe me, it is all worth! !..I have never been a great success in chicken dishes but this recipe was something my husband just loved!! !..thank you!!! Too good!!! All who have feasted at my home are making it their home. Just too mallu, and just too good!!! Thanks for posting it! 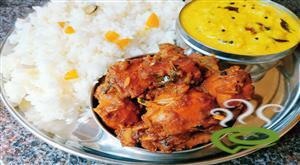 This recipe is just superb, the touch of coconut oil is what gives it its typical nadan taste. Lip Smacking ... Love it !!! Thanks a bundle for this one !!! 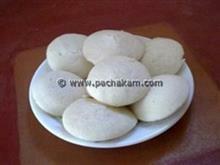 perfect recipe for appam. quite easy and basic. i didn`t use 2 cups of coconut milk, only 3/4 cup. THIS DISH HAS A VERY NICE TASTE (THANKS PINKY) MY FAMILY AND ME LOVED IT. It was very easy to prepare and all of us including the children liked it.Adding sliced tomatoes and some coriender and mint leaves will add a very good taste to the gravy.excellant. Eating is my hobby,especially Koyi. 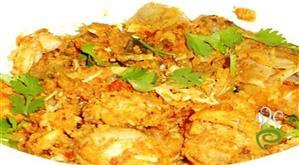 a very good nadan style...i would suggest you guys not to hesitate to try it out...Thanks for this recipie. 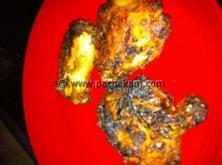 This recipe is very tasty.But if you are adding potato,increase the quantity of masalas proprtionaly. IT was really nice and not very spicy and pretty easy to make. Thanx a lot!